Microsoft is preparing a new holiday bundle for the Xbox 360. 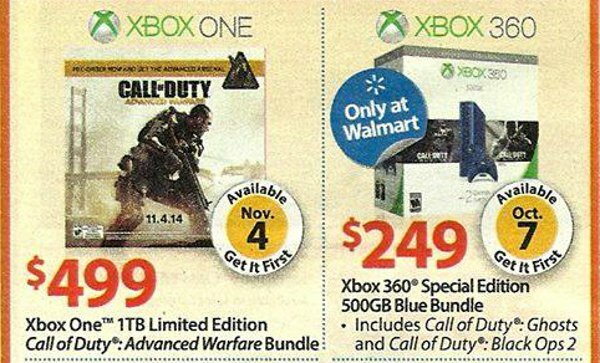 A new advertisement from Walmart reveals that they plan to sell a blue Xbox 360 with two games. According to the ad (via Wario64), the blue console comes with a matching controller and a 500GB hard drive. This will be the only Xbox 360 bundle on the market with a hard drive that large. Other Xbox 360 variants have 250GB or 320GB at most. 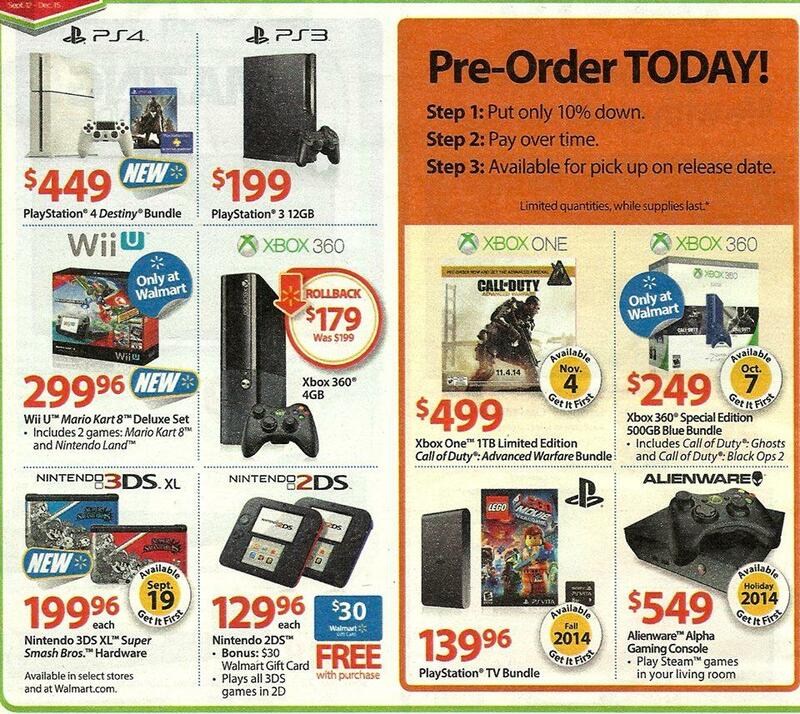 The image is a scan of a print ad so it doesn't give us a good look at the console. However, the paint job looks like it's a bit darker than the blue 360 controllers Microsoft started selling years back. I still think black is the best Xbox 360 color but this new paint job (midnight blue?) is nice nonetheless. The two games in the bundle are, surprisingly enough, both Call of Duty games. The bundle includes Call of Duty: Ghosts and Call of Duty: Black Ops 2, the most recent chapters in the series. That seems a little redundant. If they want to cater to the shooter crowd, they should've included second game from a different series like Battlefield 4 or BioShock Infinite. The double helping of Call of Duty could be a result of Activision and Microsoft's long-standing partnership on that series. All Call of Duty DLC comes to Xbox platforms at least 30 days before PC or PlayStation consoles. Microsoft and Activision are also teaming up for a special edition Call of Duty: Advanced Warfare Xbox One. This 500GB Xbox 360 package seems to be the budget-friendly counterpart to the Advanced Warfare bundle. This bundle will be priced at $249, the same amount you'd have to pay for the two-game 250GB Xbox 360 bundles released last fall and this spring. Those two collections had arguably better games, though. The Spring Value Bundle came with Borderlands 2 and Forza Horizon, while the Holiday Value Bundle had Halo 4 and Tomb Raider. If you need a bigger hard drive for your Xbox 360, you don't need to opt for this bundle. Microsoft recently began selling 500GB hard drive on its own. It's compatible with both Xbox 360 E and Xbox 360 S consoles. The blue Xbox 360 bundle will launch on October 7th. According to the advertisement, it's going to be exclusively available through Walmart in the United States. This is the only sign of this bundle we've seen so far so it's possible that other territories will receive it in time as well, though.